SMD 3030 backlit lens Led Module, 160 degree with uniform illumination,always one bin for all of your order,5 years warranty. Best for 10-15 cm depth single-sided Light box at airports,metros, banks, buildings and shopping malls, etc. 50 pcs in a serial connection maximum. Looking for ideal LED Module 12V Manufacturer & supplier ? We have a wide selection at great prices to help you get creative. 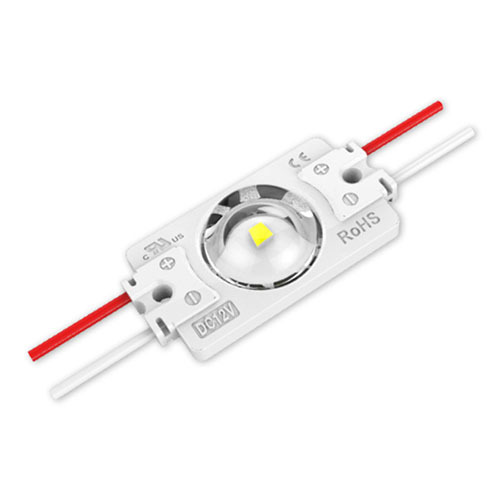 All the SMD3030 Module LED are quality guaranteed. We are China Origin Factory of 3030 LED Module. If you have any question, please feel free to contact us.